Dr. T.C. Hardy offers a variety of orthodontic treatment options for children, teenagers and adults. With a specialty in orthodontics from Tufts University School of Dental Medicine, Dr. T.C. Hardy is uniquely qualified to correct misaligned teeth, adjust occlusion (the way the teeth fit together) and treat jaw disorders. At Hardy Pediatric Dentistry & Orthodontics, we recommend that parents schedule their children for an appointment with an orthodontist around age 7-8. An early orthodontic appointment ensures that the child’s teeth are growing into place properly and allows for early detection of any dental issues before they develop into more serious problems. We help patients of all ages achieve straighter teeth and a more beautiful smile. For patients who have lived their entire lives with crooked or unevenly spaced teeth, or for those who have overbite, underbite, or crossbite issues, Dr. T.C. Hardy can discuss treatment options that will cosmetically enhance your smile, allow for more thorough brushing and flossing, and provide you with a boost in confidence. For patients who want to straighten their teeth with an alternative to metal braces, Invisalign® provides a way to do so in a manner that is discreet. A system of removable, clear, custom-fit aligners can gradually and gently move teeth into place without impacting the ability to easily eat, drink, brush and floss. Using the same technology as Invisalign®, Invisalign Teen® is a version of this comfortable and convenient orthodontic treatment specifically designed for teenagers. This system for straightening unevenly spaced and crooked teeth still allows teenagers to play musical instruments with ease and wear mouthguards while playing sports. Traditional orthodontics use wires and brackets placed on the front of the teeth to guide them toward their ideal position. 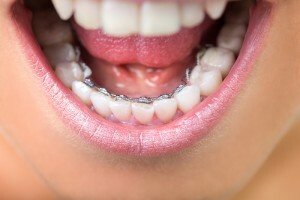 Lingual braces can provide the same effective results as traditional braces, but are placed behind the teeth (tongue-side) for discreet treatment. For patients who may not be candidates for Invisalign®, but wish to inconspicuously straighten their teeth, lingual braces may be a good solution. Kids and adults using traditional braces love the esthetic brackets option that our practice offers. Esthetic brackets don’t just allow you the ability to control the way your brackets look, they also perform better while reducing your risk for bacteria build-up around the bracket. Esthetic brackets are precision-engineered to offer you better strength, easier bonding and cleaner debonding. Esthetic braces are specially designed to blend naturally with the color of your teeth. By adding tooth-colored arch-wires, your braces will be virtually invisible. 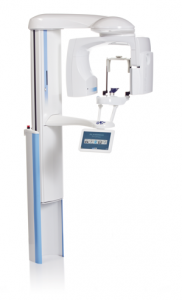 The E4D Dentist System enables our Hardy Pediatric Dentistry & Orthodontics team the ability to take fast, accurate in-house digital impressions using advanced laser-scanning technology. 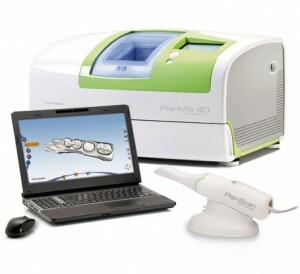 These digital impressions can then be used to design your custom crown, filling, or veneer while you wait, eliminating the need for a second visit for placement. Skip the gooey impressions of the past and jump into the future with digital impression technology. If you have questions about our orthodontic treatment options, or if you would like to schedule a consultation, please contact our office today.